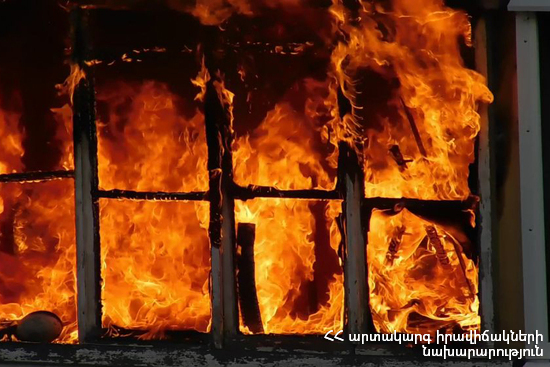 On April 14, at 14:35 information was received to “911” service that a trailer home was burning in the street of 40 aghbyurner in Aparan town, Aragatsotn province. The fire was isolated at 14:53 and extinguished at 15:10. The wooden constructions (partly, about 12 m2) of an iron trailer home adjacent to house 7, firewood (about 1 m3) and a trailer home adjacent to house 9 (completely, about 14 m2) burnt. There were no casualties.